For a good few years, Honeyfeet has been a conduit for the ideas and expressions of an exotic mixture of Manchester-based musicians. Jazz? Yes, some of that! Folk? Stick that in there! Hip-hop? I thought you'd never ask! Someone once called it Folk-Hop and Barrelhouse-pop, and that's just vague enough to make sense. Honeyfeet have spent the past 10 years tearing around festival stages and theatres, clubs and fields melting down blues and pop, jazz and disco, pushing air molecules around with instruments and making friends in the process. It's all very lovely. It helps that they are fronted by Ríoghnach Connolly “a remarkable singer and flautist who...can ease from Irish traditional influences to soul” (The Guardian). Now, after selling out prestigious music venues such as Band on the Wall and Gorilla, Honeyfeet are shifting into a year of playing more characterful and esoteric venues.  In February, they bring their ever evolved and intricate new sound into the historic yet intimate surroundings of Manchester's iconic Royal Exchange Theatre, where the performance in the round will bring the audience closer to the band. Honeyfeet have two exciting records in the pipeline; an EP of their favourite jazz tunes reworked, and a brand new album of original material, blending their folk and blues influences with more experimental elements. Honeyfeet's last album, Orange Whip, came out on Wah Wah 45s in March 2018. It was BBC 6 Music's Album of the Day in April 2018. The band have also recently performed a live session for the Craig Charles' Funk & Soul Show on BBC 6 Music. TICKET INFORMATION: Advance Tickets £22. On the door £25. Members get Priority Booking for each season as well as for additional events. You can find out about Membership here. With your support, we can make brilliant theatre, tell stories, nurture new talent, and help as many people as possible get involved.